Welcome to 20 Years On, a series here on VivaLaVidaFM where we take one of the games hottest prospects and see where they end up at the end of their career in Football Manager. In this post, we see where Swedish youngster Alexander Isak could end up in 20 years time. Alexander Isak began his footballing career with Swedish side AIK. He made his debut at the age of sixteen in the Swedish Cup before making his league debut a few months later. He scored the second goal in a 2-0 victory over Ostersund, making him the youngest goalscorer in Swedish Allsvenskan history. He has since made the move to German side Dortmund and has already picked up his first medal with the club after winning the DFB-Pokal. Alexander Isak spent 15 years with Dortmund, making over 450 appearances in all competition. He scored just under 200 goals which highlights how much of an attacking threat the Swede was, especially as he was moved further back into a right-midfield role in his final few years with Dortmund. 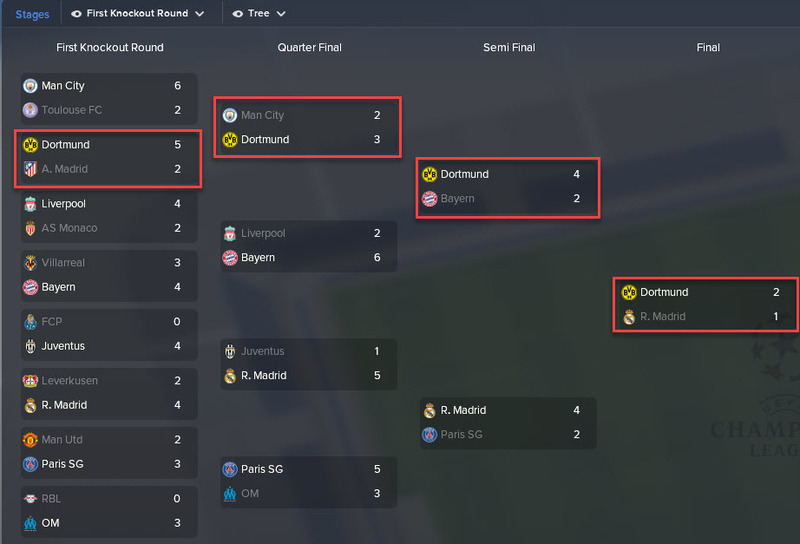 His greatest success came in the 2029/30 Champions League where he helped Dortmund win the top competition in Europe. They saw off Atletico Madrid, Man City, Bayern Munich and Real Madrid to lift the trophy. Isak had two spells with Wolfsburg – he spent two years on loan before becoming a permanent fixture in the Dortmund first team and then one year after leaving Dortmund permanently. An odd way to finish his career saw Isak leave Germany for Russia. He joined CSKA Moscow but only made 11 appearances before he retired in 2034. It wasn’t expected that Isak would lead his country to glory; Sweden are not one of Europe’s top footballing nations at the beginning of an FM18 save, but he has performed very well for his nation. He’s made a century of international appearances and has scored 53 goals, more than a goal every other game. 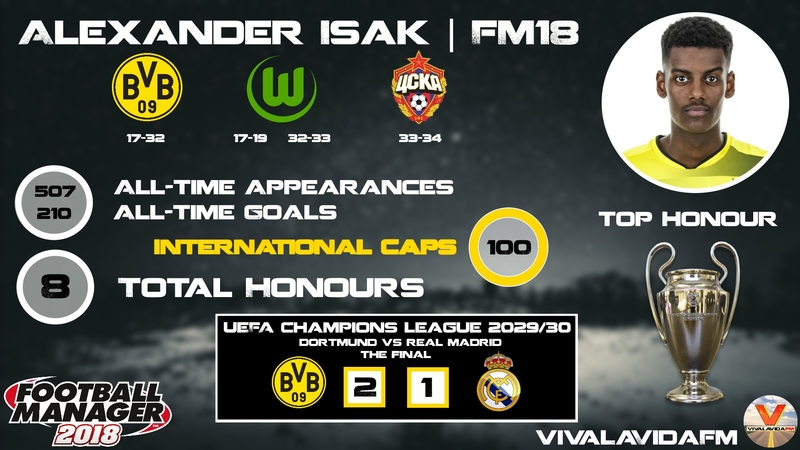 This entry was posted in FM Wonderkids | 20 Years On, FM18 Guides, Experiments & Wonderkids, Football Manager 2018 and tagged alexander isak, dortmund, fm wonderkids, fm18, football manager, sweden. Bookmark the permalink.